Though families may qualify, spaces are limited and selection is based on need, not “first come, first serve”. Note: The application process begins January 7 for the upcoming school year. 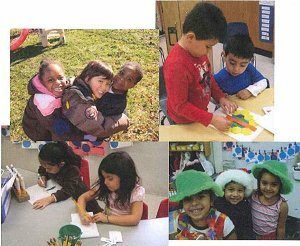 The application eligibility, selection and enrollment process begins in March and is managed centrally at the Office of Head Start in Ashburn; not at schools. If you have a question about the application process or status please call: 571-252-2110. Returning families or those who have previously applied for another child: please contact the Head Start Office at 571-252-2110 to update your application. If it's the first time you are applying for a PK program, please complete the ONLINE APPLICATION .